Once known for slum-like conditions in its immigrant and working-class neighborhoods, New York City's downtown now features luxury housing, chic boutiques and hotels, and, most notably, a vibrant nightlife culture. While a burgeoning bar scene can be viewed as a positive sign of urban transformation, tensions lurk beneath, reflecting the social conflicts within postindustrial cities. 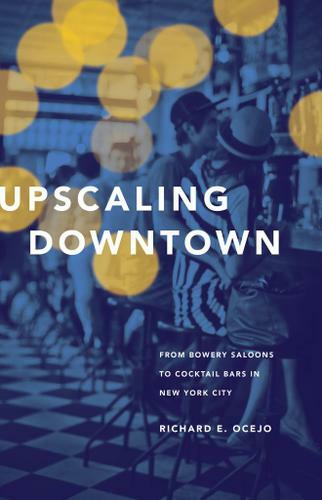 Upscaling Downtown examines the perspectives and actions of disparate social groups who have been affected by or played a role in the nightlife of the Lower East Side, East Village, and Bowery. Using the social world of bars as windows into understanding urban development, Richard Ocejo argues that the gentrifying neighborhoods of postindustrial cities are increasingly influenced by upscale commercial projects, causing significant conflicts for the people involved. Ocejo explores what community institutions, such as neighborhood bars, gain or lose amid gentrification. He considers why residents continue unsuccessfully to protest the arrival of new bars, how new bar owners produce a nightlife culture that attracts visitors rather than locals, and how government actors, including elected officials and the police, regulate and encourage nightlife culture. By focusing on commercial newcomers and the residents who protest local changes, Ocejo illustrates the contested and dynamic process of neighborhood growth. Delving into the social ecosystem of one emblematic section of Manhattan, Upscaling Downtown sheds fresh light on the tensions and consequences of urban progress.